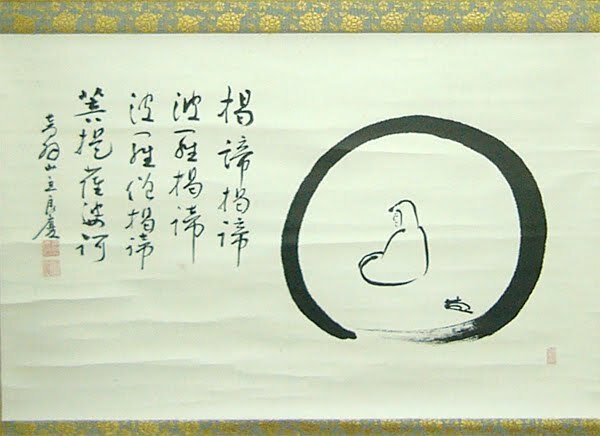 （1871-1968） Zen. 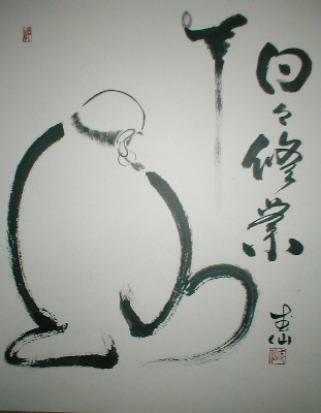 Rinzai. Temple Myoshin-ji, Kyoto. And this is a nice wish for the year 2000. 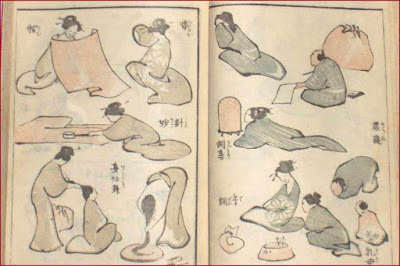 By Busen Sensei. 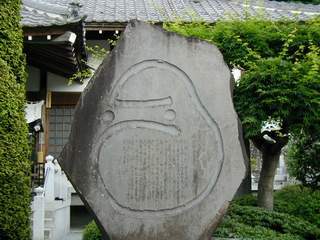 This is a very simple form of an IPPITSU Daruma, I think. He even has the word KATSU! On his belly. 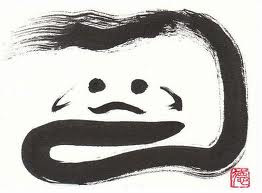 Click for more Enso Daruma ! Here the first one on the blue door curtain is supposed a One-Stroke-Daruma, the next one is a plain circle. 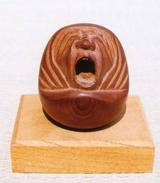 is also expressed through the large earrings of Daruma san. Here is my own story on that subject of MIMIKAZARI. CLICK for more photos of Ippitsu ! CLICK for more photos of Enso ! a measurement with no beginning and no end." The circle teaches us how the Creator made things and how to live. It teaches us how we should look at creation. 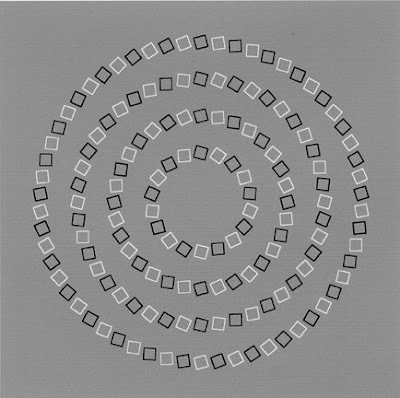 Life travels in a circle. in the North is the Elder. Then we return to the Earth Mother to start the cycle again. We observe what is `around us' from the center of the circle. This develops our point of view. We must be careful not to become self-centered. 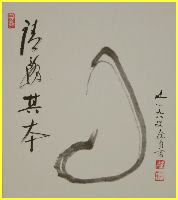 Album of Drawing with one Stroke of the Brush"
. 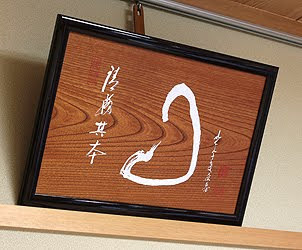 Ippitsu ryuu 一筆龍 One stroke dragon . ***** . 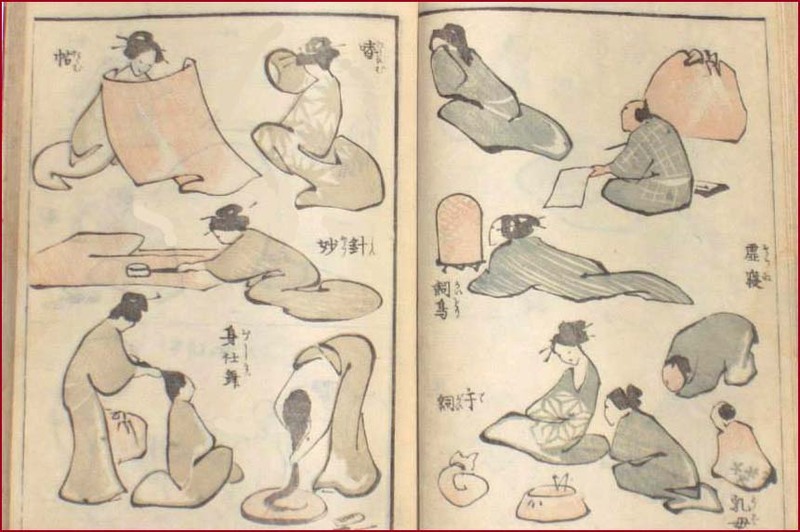 Roundness and Spirituality .
. Japanese Tea Ceremony 茶の湯 Cha no Yu, 茶道 Chado .
. Japanese Aesthetics エスセティクス - Nihon no bigaku 日本の美学 .